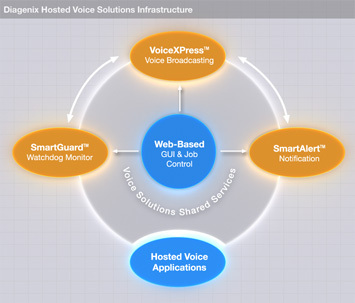 Diagenix hosted voice solutions are pre-configured, ready-to-run voice services that are available on a subscription basis from our hosting operations center. We take commonly used voice-based functionality and pair it with services and support designed to satisfy the most demanding service-level requirements and mission-critical application scenarios. You get everything needed to get up and running in the shortest amount of time and with the least amount of effort. Working with our hosted solutions is easy—there's no need to purchase hardware or software. We provide everything needed to setup, control, and monitor the service. Select from any of our ready-to-go applications such as VoiceXPress™ voice broadcasting service, SmartAlert™ multi-modal notification service, or SmartGuard™ our event driven watchdog application. SmartAlert™ Notification service for complex multi-channel notification campaigns using voice, pager, fax, e-mail, and SMS messaging. SmartGuard™ Network-based watchdog monitoring service that enables organizations to integrate event notification triggers and monitoring into any application. 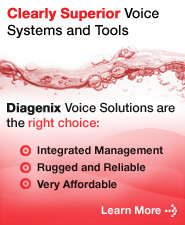 VoiceXPress™ Voice broadcasting service that enables organizations to deliver bulk voice messages quickly and securely. 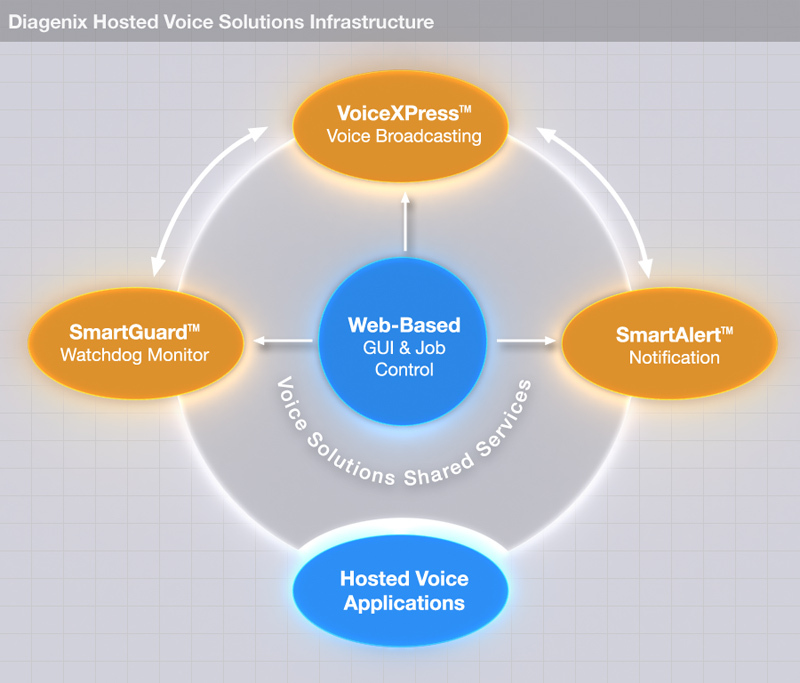 For applications that aren't covered by one of our existing solutions, we also offer Packaged Voice Application Hosting, and Custom Voice Application Hosting. These options provide many of the same benefits of our hosted solutions but are configured to meet individual usage requirements. Discover how Mutual of Omaha, Liberty Mutual, Forum Financial, Citigroup, SwissRe, American Funds, ADP and many other organizations benefited from hosting with Diagenix by give us a call to learn more about how we can help you.